The guys at Shelby seem to have the go-big-or-go-home mentality with their latest creations such as the new 662 hp ‘13 Shelby GT500 powered by a Ward’s 2013 Top 10 Engine and the track-ready Shelby 1000. His company, Shelby American, has promised to keep truckin’ along after Carroll Shelby’s passing this past May and with the Detroit Auto Show looming near, the guys at Shelby American supposedly have something big up their sleeves. To pay tribute to the man that started it all, a Shelby tribute Mustang is said to be unveiled at the show in Ford’s hometown of Detroit. This Stang is said to be fitted with the $80k wide-body kit that Shelby plans on offering to S197 customers, much like the 850 hp wide-body 2013 Shelby GT500 built in Carroll’s honor earlier this year. This special Mustang is said to be one of two models to make an appearance at the Detroit show. The company has also hinted that the future consists of smaller engines powered by turbo and they plan on bringing an EcoBoost model to the show as well, model unknown. With Shelby’s rich heritage and impact on the auto world, we expect nothing less than to be impressed! 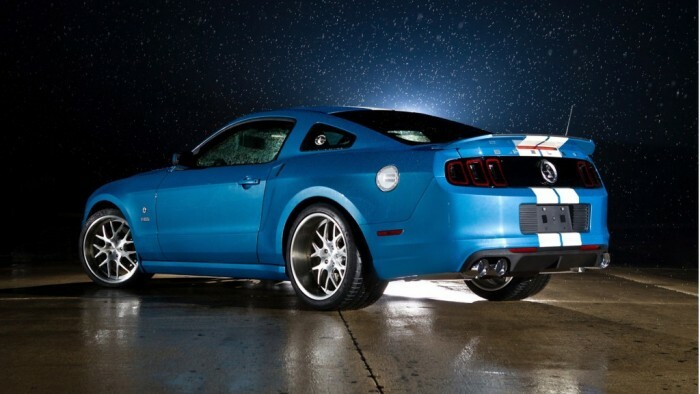 What do you think of Shelby’s new wide-body kit? Previous Entry Photos: Sneak Peak – BAMA Testing Ford’s Cobra Jet Intake!